I’m Jordan Magnuson. I’m a game designer and interactive media artist at Santa Cruz. I make a lot of abstract, small, experimental games. Things like Loneliness, Freedom Bridge – I did a project a little while back to travel around Asia and try to make little experimental games about that process. It was a Kickstarter project. Tell me about your game Ismael. Ismael is on a different track. It’s a Twine game. I grew up in the Middle East in the reality of the Israel-Palestinian conflict. Ismael is meant to be an exploration of a little bit of that. It’s a game about this young Palestinian boy. What I wanted to do was try to make a game that wasn’t overtly political. So, this game tries to do that by having this perspective of this child where most of the game is just his daily life. It doesn’t have anything to do with a political conflict. It’s just the things he is interacting with day-to-day. The subtext is there, but he doesn’t quite understand that. It’s not his reality. The game is about a couple of days in his life and him encountering in a significant way, on the last day, the reality of this conflict. But again, he still doesn’t quite understand it and he is drawn up into it. The game is trying to ask, is this inevitable? Can he resist this? It’s obviously a very linear game. That’s intentional. You have a little freedom to play games and do different stuff, but you don’t really have any freedom at the larger narrative level. There’s an interesting choice at the end of the game. Obviously, I want to put the gun down. Resist this. But the game doesn’t allow you to, ultimately. It gets to the point where the dogma of this discursive world keeps repeating. You’re ultimately forced to jump into the fray. Why did you not make that into a decision for the player? It was something I thought a lot about and went back and forth in terms of how to do that. I ended up feeling like I wanted it to be a game that posited this idea of inevitability. Not because I think that that narrative is necessarily true, that it is inevitable, that he got caught up in this and there was nothing else he could do. But I wanted to put that out there as a possibility for the player to react against. What do I think about that? Is this true or not true? Hypertext is just one form of interactivity and I think it’s more suited, in some ways, toward exploring things that are linear. I tried to combine the strength of hypertext with the narrative, the story I was trying to tell, the game I was trying to make. I remember thinking, this seems like it would be a good format to explore this idea of inevitability where that linearity is intentional. It’s like, okay, play tic-tac-toe, or whatever, make whatever moves you want to make — you have all the freedom to click in these boxes, but you try to say, what about this bigger story. Do you have choice there or not? And leave it up to the player to decide whether they agree with that or not. You mentioned this was made in Twine, but it’s a modified version, no? Is Ismael available online right now for people to check out? 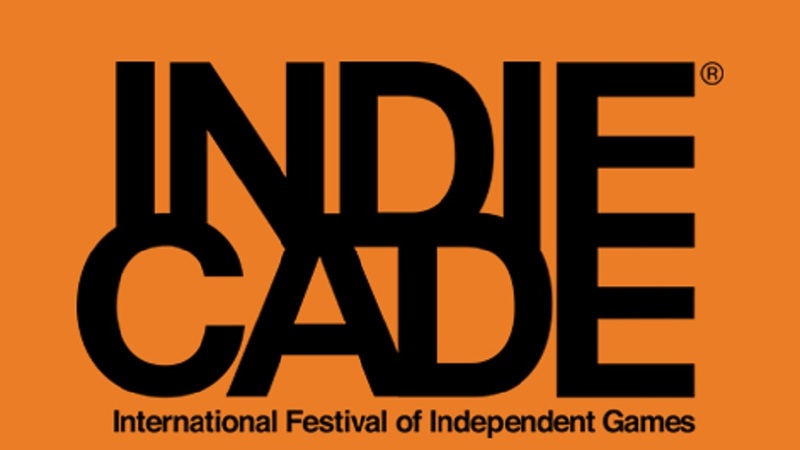 This is the 10-year anniversary of IndieCade. What value do you think IndieCade has for an indie community that isn’t necessarily unknown – indie games are part and parcel with the video game industry now – so, what value do events like IndieCade have for the community, creators, and audiences? Sure, you can go on Steam and find indie games, but that is only one avenue and process and it looks a certain way and you might stumble upon certain things or you might follow links or a Steam recommend, or whatever, but it’s different than coming to something like this. It’s a different exposure opportunity that works differently. Being able to talk to the developers and see them and be like, that’s a real person. How did this game actually come about? That’s not something you get to do on Steam. I agree that people are aware of indie games and they can find them and play them, but it’s cool to be able to see people in the flesh and talk to them and connect the dots between people and the games. It’s really easy, especially on Steam, to have that be disconnected. You play all these games, you have your huge library, but you don’t think about where these games come from. The development becomes invisible. The product is everything. Yeah. Right. The product is a lot, but it’s all part of the reality about what games are. It’s not just what they are on Steam. It’s also the people that make them. When making your games, who do you imagine as the player? Who is going to enjoy Ismael? Most of my games are not what you might think of as typical video games – and I know that’s true of a lot of the games here. But I’m definitely interested in video games as a potentially universal medium and something that’s not just for gamers. I’m interested in exploring universally relevant topics that don’t really have anything to do with gaming, per se. Most of my games, like Ismael or others, do not require gaming skills to play. I want anyone to be able to sit down and interact with the stuff I make and not for it to have to be something where you need a specific set of skills. I want to be able to show it to my mom or dad or friends who do not necessarily play games. For me, I’m thinking about, okay, what do I find universally interesting or relevant in this story, and I want anyone to be able to interact with that story. This is a really interesting write-up! Do you interview other Twine creators? I have a series of Twine games called Crypt Shyfter on Newgrounds that may be of interest. I just released the 6th game in the series yesterday. I can send you links if you’re interested.